$3,000 off MSRP + 3.9% 60 Month Financing! $3,000 off MSRP (Autobahn Incentive) on ALL in-stock 2019 Jetta models, PLUS get 3.9% financing for 60 months! 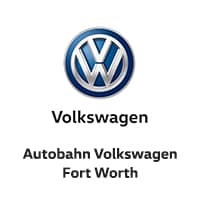 Finance offer available on approved credit to qualified customers by Volkswagen Credit through Autobahn Volkswagen. Contact one of our VW Sales Reps today at (888) 511-3252 or via email at VWAdvisor@abahn.com for more about this offer, available colors and options. We’re just a phone call away and will happily help you via phone or email. Thank you! $2,995 due at signing. Excludes tax, title, license, options and dealer fees. No security deposit required. Lease a 2019 Jetta 1.4T S with manual transmission for $99 a month. for a 36-month lease, $2,995 due at signing. Monthly lease payment based on MSRP of $20,163 and destination charges. Monthly payments total $3,564. Based on 10,000 miles per year. Residual value of $11,291.28. No security deposit required. Amount due at signing includes first month’s payment, capitalized cost reduction, and acquisition fee of $675. Closed end lease financing available for a new, unused 2019 Jetta 1.4T S with manual transmission, on approved credit to highly qualified customers by Volkswagen Credit through Autobahn Volkswagen. Your payment will vary based on final negotiated price. At lease end, lessee responsible for disposition fee of $395, $0.20/mile over 30,000 miles and excessive wear and use. $4,000 off MSRP + 3.9% 60 Month Financing! $4,000 off MSRP (Autobahn Incentive) on ALL in-stock 2019 Atlas models, PLUS get 3.9% financing for 60 months! Finance offer available on approved credit to qualified customers by Volkswagen Credit through Autobahn Volkswagen. $3,985 due at signing. Excludes tax, title, license, options and dealer fees. No security deposit required. Lease a 2019 Atlas SE W/Tech with automatic transmission for $220 a month. for a 36-month lease, $3,985 due at signing. Monthly lease payment based on MSRP of $39,820 and destination charges. Monthly payments total $7,920. Based on 10,000 miles per year. Residual value of $21,901.00. No security deposit required. Amount due at signing includes first month’s payment, capitalized cost reduction, and acquisition fee of $675. Closed end lease financing available for a new, unused 2019 Atlas SE W/Tech with automatic transmission, on approved credit to highly qualified customers by Volkswagen Credit through Autobahn Volkswagen. $3,500 off MSRP + 3.9% 60 Month Financing! $3,500 off MSRP (Autobahn Incentive) on ALL in-stock 2019 Tiguan models, PLUS get 3.9% financing for 60 months! Finance offer available on approved credit to qualified customers by Volkswagen Credit through Autobahn Volkswagen. $2,999 due at signing. Excludes tax, title, license, options and dealer fees. No security deposit required. Lease a 2019 Tiguan 2.0T SE (without sunroof) with automatic transmission for $349 a month. for a 36-month lease, $2,999 due at signing. Monthly lease payment based on MSRP of $27,815 and destination charges. Monthly payments total $12,564. Based on 10,000 miles per year. Residual value of $15,298.25. No security deposit required. Amount due at signing includes first month’s payment, capitalized cost reduction, and acquisition fee of $675. Closed end lease financing available for a new, unused 2019 Tiguan 2.0T SE (without sunroof) with automatic transmission, on approved credit to highly qualified customers by Volkswagen Credit through Autobahn Volkswagen. $6,000 off MSRP + 4.9% 60 Month Financing! $6,000 off MSRP (Autobahn Incentive) on ALL in-stock 2018 Passat models, PLUS get 4.9% financing for 60 months! Finance offer available on approved credit to qualified customers by Volkswagen Credit through Autobahn Volkswagen. Lease a 2018 Passat 2.0T SE with automatic transmission for $354 a month. for a 36-month lease, $2,999 due at signing. Monthly lease payment based on MSRP of $28,710 and destination charges. Monthly payments total $12,744. Based on 10,000 miles per year. Residual value of $14,355.00. No security deposit required. Amount due at signing includes first month’s payment, capitalized cost reduction, and acquisition fee of $675. Closed end lease financing available for a new, unused 2018 Passat 2.0T SE with automatic transmission, on approved credit to highly qualified customers by Volkswagen Credit through Autobahn Volkswagen. Lease a 2019 Golf GTI S with manual transmission for $309 a month. for a 36-month lease, $2,999 due at signing. Excludes tax, title, license, options and dealer fees. Monthly lease payment based on MSRP of $27,595 and destination charges less a suggested dealer contribution resulting in a capitalized cost of $25,727.89. Monthly payments total $11,124. No security deposit required. Amount due at signing includes first month’s payment, capitalized cost reduction, and acquisition fee of $675. Closed end lease financing available for a new, unused 2019 Golf GTI S with manual transmission, on approved credit to highly qualified customers by Volkswagen Credit through Autobahn Volkswagen. Lease a 2019 Golf S with automatic transmission for $219 a month. for a 36-month lease, $2,999 due at signing. Excludes tax, title, license, options and dealer fees. Monthly lease payment based on MSRP of $22,560 and destination charges less a suggested dealer contribution resulting in a capitalized cost of $19,350.99. Monthly payments total $7,884. No security deposit required. Amount due at signing includes first month’s payment, capitalized cost reduction, and acquisition fee of $675. Closed end lease financing available for a new, unused 22019 Golf S with automatic transmission, on approved credit to highly qualified customers by Volkswagen Credit through Autobahn Volkswagen. Lease a 2019 Golf SportWagen S with 4MOTION with automatic transmission for $349 a month. for a 36-month lease, $2,999 due at signing. Excludes tax, title, license, options and dealer fees. Monthly lease payment based on MSRP of $25,495 and destination charges less a suggested dealer contribution resulting in a capitalized cost of $23,826.29. Monthly payments total $12,564. No security deposit required. Amount due at signing includes first month’s payment, capitalized cost reduction, and acquisition fee of $675. Closed end lease financing available for a new, unused 2019 Golf SportWagen S with 4MOTION with automatic transmission, on approved credit to highly qualified customers by Volkswagen Credit through Autobahn Volkswagen. $500 Bonus Amount for Military & First Responders! During the program period Volkswagen of America will pay a Military & First Responders Bonus amount of $500 towards the lease or purchase of select new and unused Volkswagen models as outlined below. All new, unused 2017 and 2018 models, excluding Golf R models. – This Volkswagen of America Bonus amount may be used in conjunction with other Volkswagen of America National programs (Lease/APR/Dealer Cash). – Volkswagen Fleet Incentive (“VFI”) and Volkswagen of America Fleet Customers are excluded from this program and are not combinable. – Dealer Employee Purchase Program (DEPP), Friends & Family Program, Partner Purchase Program, Contractor Program, and future loyalty/conquest programs are combinable with this Program. – Vehicles enrolled in the 2017 or 2018 VW Customer Mobility Program and sold as KOS 6 or KOS 9 are eligible for this Volkswagen of America Bonus. Contact one of our Volkswagen Sales Representatives today at (844) 711-0192 for more about this offer, available colors and options. We’re just a phone call away and will happily help you via phone or email. Thank you! Expiration Date | Disclaimer: 05/01/2019. Looking for a Special on a Specific Volkswagen Model? Let us know if you didn’t see the Volkswagen you’re interested in on this page. We’ll take a close look at our inventory supply and the latest incentive updates from Volkswagen Corporate and see if there’s anything we can do. Complete the quick form below so we can accommodate you best. Thank you.